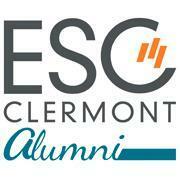 ESC Clermont Alumni network is a unique, interdependent and professional network, which aims at promoting dialogue, mutual help and the professional fulfillment of its members. On this platform anyone from the ESC Clermont network can consult articles about the network and school news, benefit from the services offered, attend events organized by the network in France and worldwide, help the association financially by paying a contribution, consult job and internship offers and last but not least consult the online directory. This new platform is the perfect tool to catch up with former classmates, manage a community, share experiences, attend events or develop a network. Companies and recruiters can also look for the perfect applicant by publishing job and internship offers and managing the application on the platform. Via the company profile, they can also present the company and its activities. They also have access to the CV-bank of members looking for interesting job opportunities and get in touch with them.